Today I traveled from Grand Forks, North Dakota to Glasgow, Montana. I intended to travel to Havre, Montana. However, I had a few sidetracks today. Each time I stop for fuel, a bite to eat, or even just for a brief stop, people come running over to talk to me about the bike and ask where i’m headed. I won’t go into anymore detail as I discussed this issue already. It is really great to meet everyone. I especially enjoyed talk with a fellow who works at the McDonalds I ate lunch at today. 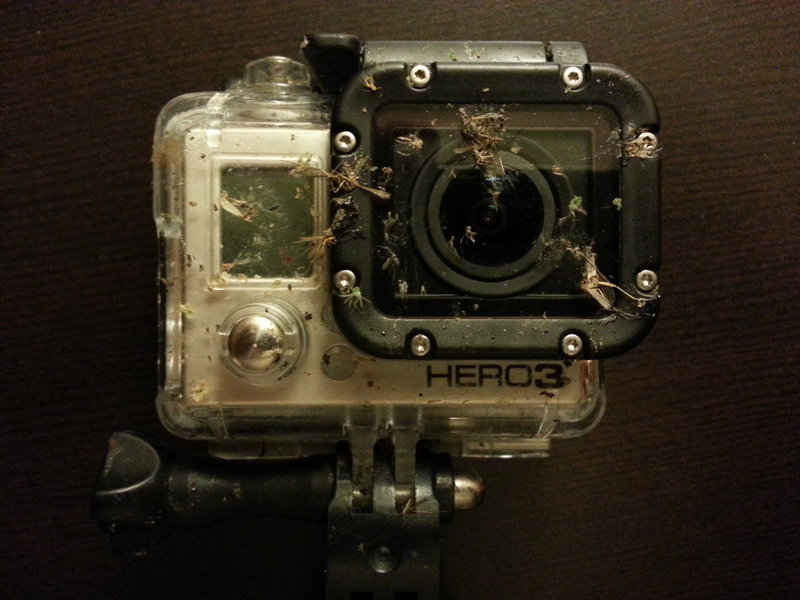 My Gopro after riding 40 miles this evening. Today I say goodbye to interstate highway travel as I head west on Highway 2 out of Grand Forks, ND and travel 680 miles to Havre, Montana. I have found out this morning that the Transcandian Highway between Calgary, Alberta and Banff, AB has been partially reopened today. 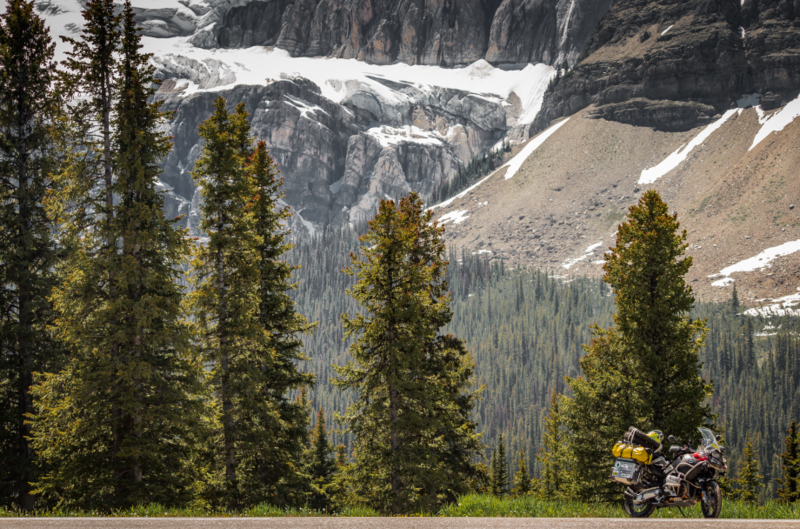 This means I will resume my original route on Sunday to Lake Louise, Alberta. Though today is a longer travel day with over 11 hours riding time, I do plan to stop at the monument for the geographical center of North America for a picture or two. And I hope I will begin to get into an area of the country that lends itself to more pictures. So now I’m off to breakfast shortly and then packing the bike for another nice day of riding. Thanks for following. Waited for Best Buy to open, which is right near my hotel. Needed a couple more SD cards. Now on the road, but not the route I intended to take. Seems road construction in Minnesota is handled a bit different than back in Illinois. Here, when they replace a bridge, they just shut down one lane rather than shift traffic over to the other side. So I was told this morning that I would be dealing with a huge backup on the road I planned to take to Bemidji. They were right. So a lot of wasted time sitting on the road. Since tomorrow will be a very long ride in the saddle due to the flooding in Canada, I really need to have time to rest and maybe even relax a bit tonight. So I’m foregoing Bemidji and heading straight for Grand Forks, my stop for the night. Add to the above that the syrup on my waffle this morning at the free breakfast has not set well with me, and all in all, I’m having a great day. But the temps are in the mid-70’s, and it mostly cloudy. I am officially in heaven as far as bike riding goes. And everywhere I go, people are wanting to take pictures of me and the bike and talk about my trip. So that slows me down, which is good. So here is the link to follow me on the road. Just click on the link above and you will go to my spot page. Alright. Route has been changed a bit to accomodate the flooding in Calgary. The motorbike is nearly fully loaded. And I’m about to set off on my adventure. i will post a small video on Wednesday night regarding the bike and the stuff I’ve loaded onto it. In looking at the weather in Alaska, near 90 in Fairbanks and in the 70’s in Prudhoe Bay, I’m trying to remain optimistic that I wil not run into any new forrest fires which could interfere with the trip. So we shall have to wait and see on that. Thanks for following this little trip. Well, I have confirmation this evening that Highway 1 between Calgary and Banff, Alberta is closed until further notice due to the major flooding that has just recently taken place. So I am rerouting my trip so I can get past the flooding and still get to Lake Louise, AB. Problem is I believe the ride that day has now just gotten a lot longer. So stay tuned.